Progress toward sustainability can be compared with an unsuccessful weight loss program. More than 20 years ago the world concluded that it was rapidly progressing toward self-destruction. The main reason for this was identified as an overconsumption and unsustainable use of natural resources (Rio, 1992). Since that time the world has developed about a thousand sustainability indicator initiatives worldwide (IISD, 2014). The world has created rapidly developing institutions, theories, schools, international standards, industry norms, and national legislation. As a global community, we sliced and diced our problem. Now we understand sustainability issues on the level of eco-systems, regions, communities, cities, financial markets, businesses, and specific production processes. We have restricted consumption, emissions of greenhouse gases and other pollutants, and created systems to identify and penalize offenders (Kyoto 2014). 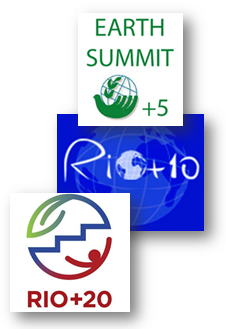 The world’s progress toward sustainable development has been measured and reported at follow up UN conferences such as Rio 5+ (1997), Rio 10+ (2002), and Rio 20+ (2012). Unfortunately, results are largely disappointing. The patient of a weight loss program is gaining a lot of weight in spite of all tools and efforts. The patient knows what to do but can’t help doing completely the opposite. According to Rio 20+ (2012), overconsumption is still the world’s problem number one. It is accompanied by other top issues where either regression or lack of progress has been observed. These issues include increased unplanned urbanization, inadequate housing and working conditions, catastrophic climate change, increased pollution, and unsustainable use of land and other resources. Is there a hope in this seemingly disastrous situation? Sustainability results are derived not from plans and intentions, but from everyday actions of all business players in the world. These actions should be measured and controlled. Thus, sustainability auditing and accounting can be a large part of a solution. While many believe that auditing and accounting is used as window dressing and green washing, there is another well-established school of thought which suggests that business conduct toward sustainable development is greatly facilitated and encouraged through consistent gathering and analysis of relevant information. Companies need training, communication, regulatory, and consulting support to properly evaluate their sustainability impacts, choose appropriate sustainability frameworks and criteria, understand and mitigate rebound effects, foster sustainability innovation, develop proactive sustainability strategies, and establish independent and effective sustainability auditing and accounting functions. The main drivers of the changes are reputational, competitive, and business risks as well as the pressure from the public, media, customers, and other stakeholders. Receive esclusive email offers and free downloads!